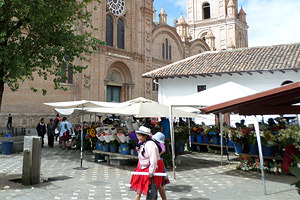 There are a huge number of day trips and one-day excursions offered from both Quito and Cuenca. Whatever your interests - indigenous markets, crafts-producing villages, volcanos and mountains, national parks, museums and culture, waterfalls and lakes, . . . there is something for you to choose from in either city. Click on the options below to explore the day tours and excursions that we recommend. 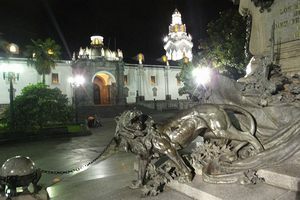 Choose from a dozen or more exciting day tours starting from Quito. Explore cultures, climb volcanos, buy crafts, visit spectacular scenery and environments . . . Explore the many exciting options around Cuenca, from spectacular national parks to crafts producing villages, waterfalls, and mountain scenery . . .